Bill Windsor asks federal courts for a fair trial and an impartial judge. The Montana Supreme Court has ignored the facts and the law to assure Bill Windsor of the most Kangaroo Court possible. So, William M. Windsor is appealing to the federal courts. The Montana Supreme Court TWICE denied Bill Windsor's efforts to simply get a fair trial with an impartial judge. This is one of the great myths of our alleged rights as Americans. So, Bill Windsor has filed a Notice of Appeal to Federal Court. The United States District Court for Montana hates Bill Windsor's guts. They have proven to be as corrupt as the Montana Supreme Court. So, Bill doesn't expect anything from the U.S. District Court. He does believe that the United States Court of Appeals for the Ninth Circuit has judges who have done the right thing in many cases, so he looks forward to a shot with the Ninth Circuit. Should that fail, it's off to the United States Supreme Court. Of course, the United States Supreme Court despises Bill Windsor, too. 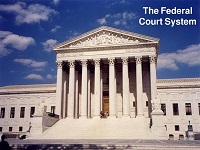 He previously filed Petitions for Writ of Mandamus asking the U.S. Supreme Court to tell the federal judges in Georgia that they had to abide by the Constitution. Our Supreme Court responded: "We refuse." If nothing else, the documentation of the corruption continues as a daily chore. On a personal note: I was married 44 years ago today. I was divorced two years ago last Friday. My ex-wife has proven to be a dishonest woman. She should be a Joey. Maybe she is. I'm still battling dizziness. Meclizine helps during the day, but when I try to sleep, I go into orbit if there is pressure on the back of my head. I remain anxious to see a neurologist, if only I can get an appointment in my lifetime.